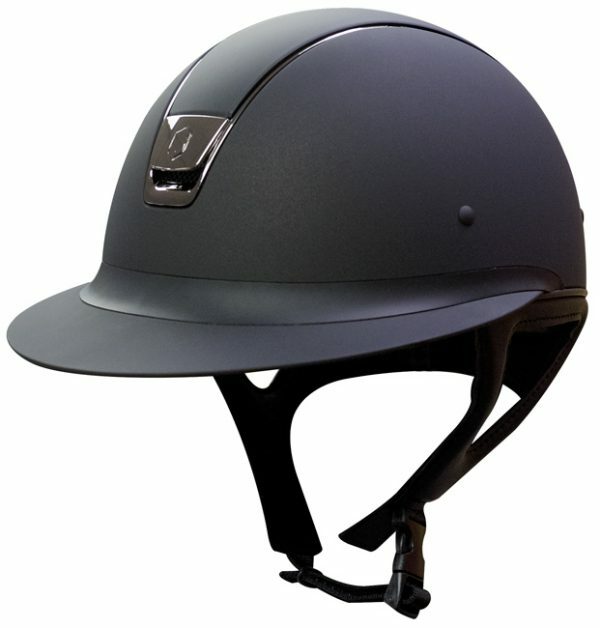 The Miss Shield has been designed on the base of classic Samshield helmets (Shadowmatt and Premium) and has same technical features (better dissipation of the energy produced upon impact, no risk of tipping the helmet in case of violent movement, exceptional ventilation, perfect adjustment, comfort and hygiene). MATERIALS FOR OPTIMAL SAFETY The outer shell of the Miss Shield is made of polycarbonate, which is a material used, among other things, for high-end motorcycle helmets. The Shadowmatt version is covered with anti-scratch mat painting. The Premium version is equipped with original Alcantara®. The inner shell is made of polystyrene with variable density providing a better dissipation of the energy produced upon impact. STABILITY The internal comfort foam, “shape memory”-kind, ensuring a constant thickness over the years of use and the semi-rigid jugular cancel all risks of tipping the helmet in case of a violent movement. This internal comfort foam is removable thanks to a much stronger clip system than the scratch/Velcro system. It can therefore be washed at will in order to constantly be able to wear a clean and fragrant helmet. PERFECT SIZE ADJUSTMENT FOR UNMATCHED COMFORT A thorough anthropomorphic study led to design an inner-shell form generating an unmatched comfort. 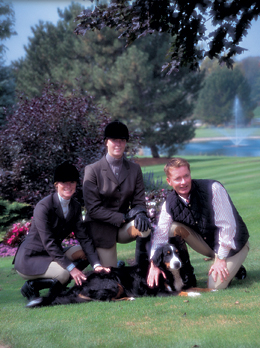 3 shell sizes are available: S, M, L. Each shell can accommodate 4 to 5 inner foams of different sizes in order to obtain a perfect adjustment to the rider’s head. The size grid is available from 52 to 61. With this system, it is also possible to follow the growth of a young rider. POWERFUL INTERNAL AIRFLOW Equipped with a front air inlet, the Miss Shield helmet provides exceptional ventilation. Fresh air is channeled from the front entrance to the back extractors around comfort foam which prevents from sweating. This concept generates a strong internal airflow avoiding the need for visible and unsightly air inlets: the equestrian elegance is retained without banishing technicality and comfort. The Miss Shield Shadowmatt and the Miss Shield Premium are available in black, blue and brown.